Best known for her performance as Madeline Elster in Alfred Hitchcock’s classic thriller Vertigo, Kim Novak had a striking beauty that turned her into a superstar. Ottiu was inspired by Kim’s graceful stature and designed the Kim collection of chairs. The Kim Bar Chair features a mid-century modern shape with luxurious finishes and detail. Upholstered in the highest quality cotton velvet, the curved shaping is adorned with polished brass studding. The deep seat and curved backrest is crafted from a beechwood structure with tapered legs lacquered with a gloss varnish. 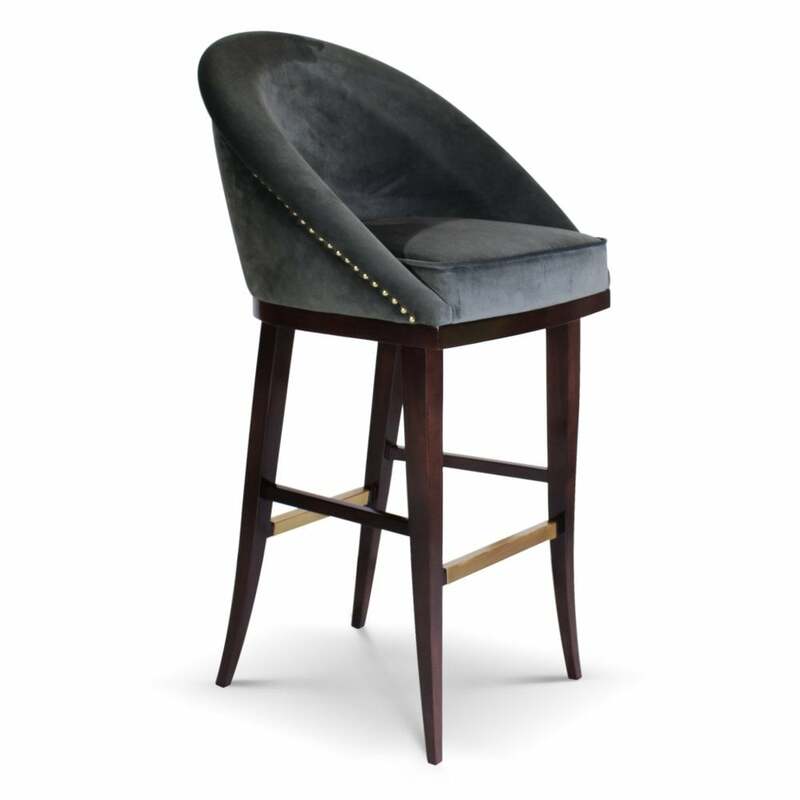 A covetable look for a chic bar or lounge residential area, the Kim Bar Chair will bring a touch of glamour to any interior scheme. Shown here in a beautiful green velvet, get in touch with our team to discuss upholstery options. Priced for Upholstery: Ottiu Fabric. Structure: Beechwood, lacquered legs with high gloss varnish. Details: Aged brushed brass accents and nails.